The first place Myrtle Beach Pelicans (30-16-Overall, 19-6-Road), plated five runs in the seventh inning on seven walks and strolled to an 11-1 victory over the Potomac Nationals (21-28-Overall, 12-13-Home) in the series opener on Saturday night at Pfitzner Stadium. 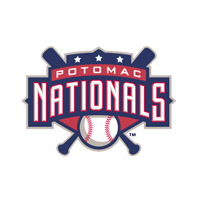 Eight of the nine starters in the game for Myrtle Beach had at least one hit in the ten-hit, ten-walk affair for the Pelicans against the P-Nats RHP Reynaldo Lopez (2-2, 4.01), who lasted just five innings in his fifth start for Potomac. The Pelicans, in their first trip to The Pfitz, sent RHP Paul Blackburn (4-2, 4.26) to the mound and he earned the win after pitching five solid innings allowing just four hits and one run (earned), two walks, and he struck out six, including the side in the fifth and all looking. After a scoreless first inning, Lopez was dinged for a run in the second when Myrtle’s C Victor Caratini doubled to begin the frame. Three straight singles followed, including the RBI by SS Carlos Penalver for a 1-0 lead. It remained 1-0 until the bottom of the third against Blackburn when 2B Christopher Bostick singled and stole second. SS Stephen Perez tripled Bostick home to tie the ballgame at 1-1. The Pelicans flew away with the ballgame in the fourth against the P-Nats Lopez, who allowed nine hits and five runs (all earned) with a walk and six strikeouts in the loss. It all began with a lead-off walk to 1B Jacob Rogers who scored two batters later on RF Kevin Brown’s RBI triple for a 2-1. Back-to-back run scoring extra-base hits ensued and it was 4-1 Pelicans. Lopez relinquished his first home run of the season in the fifth to 3B Jeimer Candelario, who has all three season home runs against Potomac, for a 5-1 lead. Brown led-off the sixth against new Potomac RHP Kevin Perez with his first home run of the season for a 6-1 Pelican lead. Myrtle in the seventh, truly walked away with the win as Perez and RHP Cody Davis combined to walk seven in the inning. The ‘Birds scored five runs on no hits, the seven free passes and a sacrifice fly. The inning turned the game into an 11-1 beachfest for Myrtle Beach. The Pelicans did not pick-up a hit past the sixth inning home run from Candelario and Potomac had a hit and a walk in the same span, but no runs. Myrtle became the first Carolina League team to hit the 30 win mark and improves to 4-1 against Potomac, who drops to 21-28 and remains 6.5 back in the division behind Wilmington. In Game Two Potomac sends RHP Nick Pivetta (3-3, 1.41) up against RHP Tyler Skulina (1-3, 4.25). The two righties faced off at the beach on May 22nd with Pivetta prevailing for his third win of the season. First pitch tomorrow in Game Two is set for 1:05 pm and the P-Nats Baseball Network will carry live coverage starting at 12:50 pm. Tune in at www.potomacnationals.com. Tomorrow Kids Run the Bases presented by Glory Days Grill and it’s Family Fun Day along with Virginia529 Super Saver Sundays presented by Virginia529.